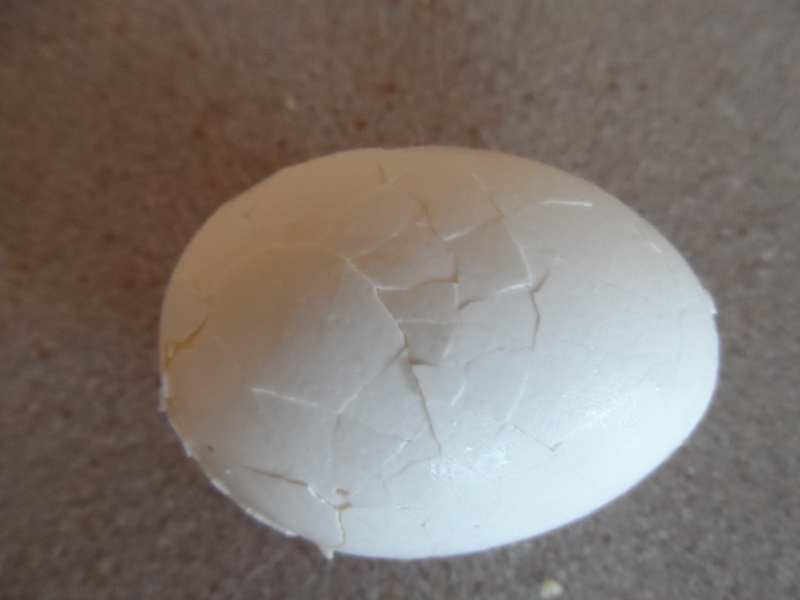 The first thing you need to know is that if you want the shell to peel off your eggs easily, then you need to plan ahead. Since Passover is just 2 weeks away (from the time of this blog post), buy your eggs now. Yes, right now. Actually, last week or the week before would have been better, but it will be ok. With most things, fresh is best, but in this case, slightly older is better. Two to three weeks is ideal—it gives the egg time to let air seep into the hermetically sealed shell. 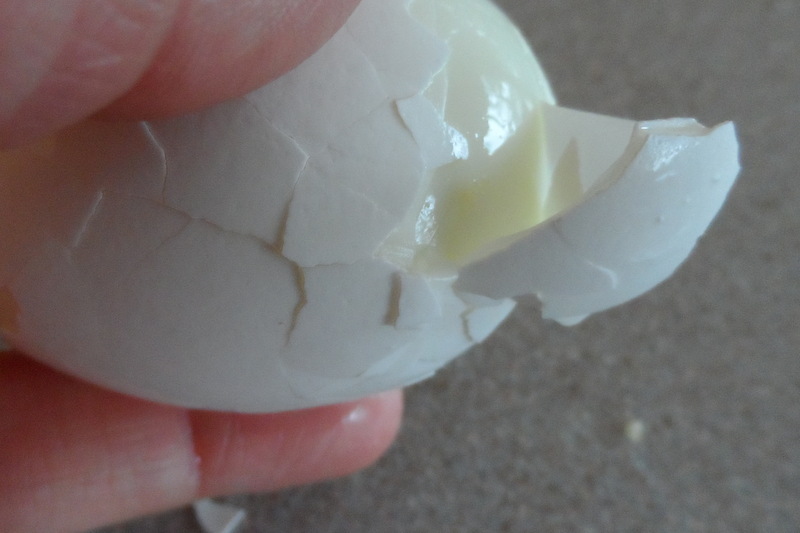 Then when you hard boil it there will be some separation between the shell/connective membrane and the delicate white of the egg. When you are ready to cook your eggs, get out a large pot, big enough to put the eggs into it, cover them with cold water, plus one extra inch of water. 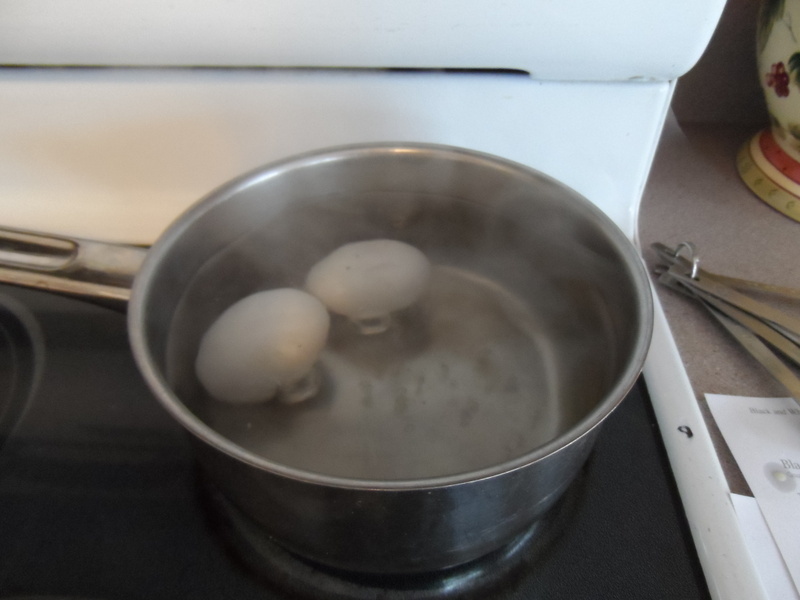 Bring the uncovered eggs and water to a boil for exactly one minute. Then clamp the cover on and remove the pot from the heat. Let it sit for ten minutes if you like your white to be delicate and your yolk to be buttery and golden and tender. 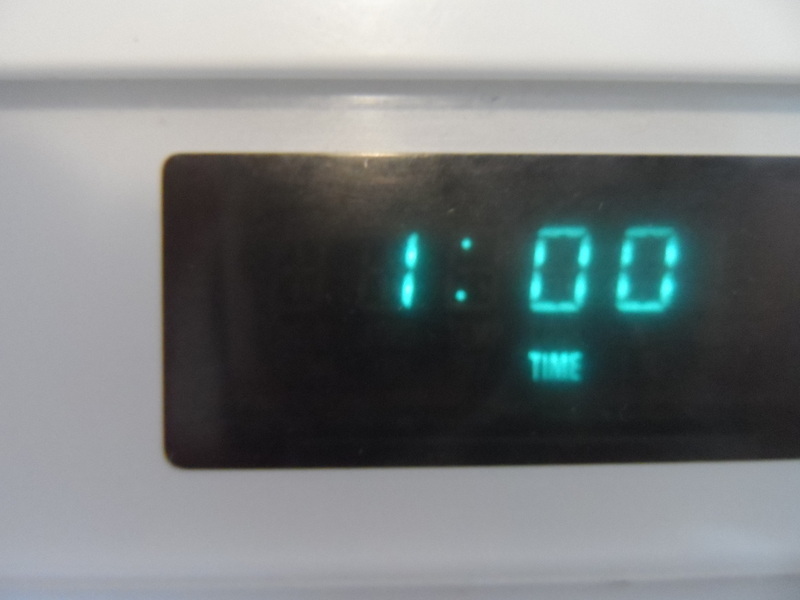 Twelve minutes if you want it a little more done. But that is it! 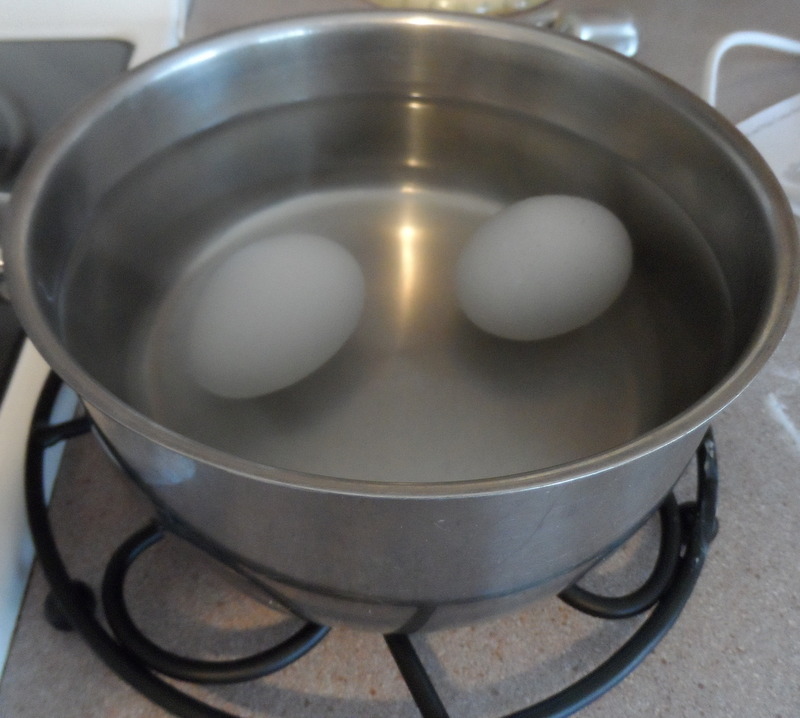 Now quick–remove the eggs from the hot water and plunge them into an ice bath to stop the cooking process. And by ice bath, I simply mean a bowl filled with ice and water. If you are out of ice, then then even very cold water will do—the important thing is to stop the cooking process. Next, tap each egg so the shell forms a crack and lets some of the ice water in. When the hot egg and the cold water meet, the white and shell will make some space for one another. As soon as the eggs are cool enough to handle, crack them lightly all over on the counter top, gently roll them under your hand, and carefully peel them, under running water if you’d like. They should just slip out of their shell as easily as you would slip out of your winter coat on a temperate Spring day. 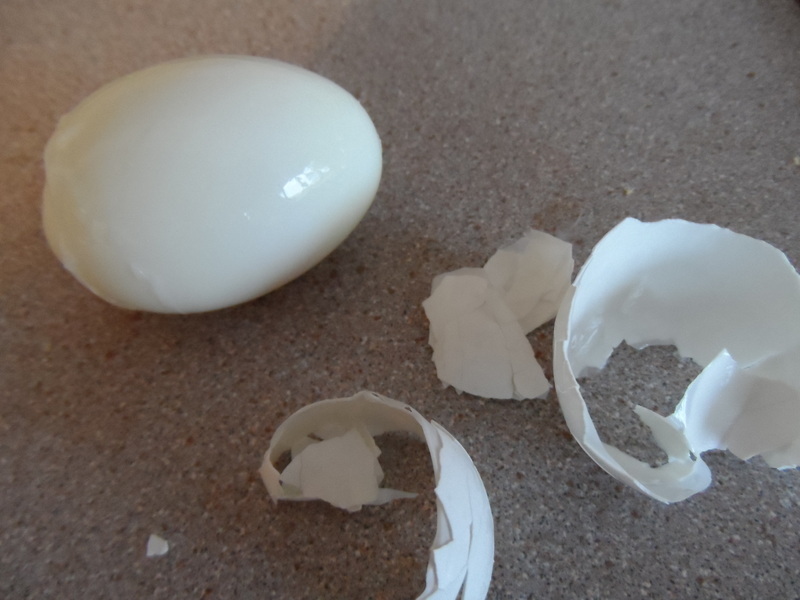 If you have any difficulty, find a spot on the egg, the top or the bottom where the shell is a little “looser” and begin to peel it there. Find your way under the connective membrane that holds the shell together and peel it from there, in big pieces if you can. And holding it under a little running water sometimes helps to ease things along as well. 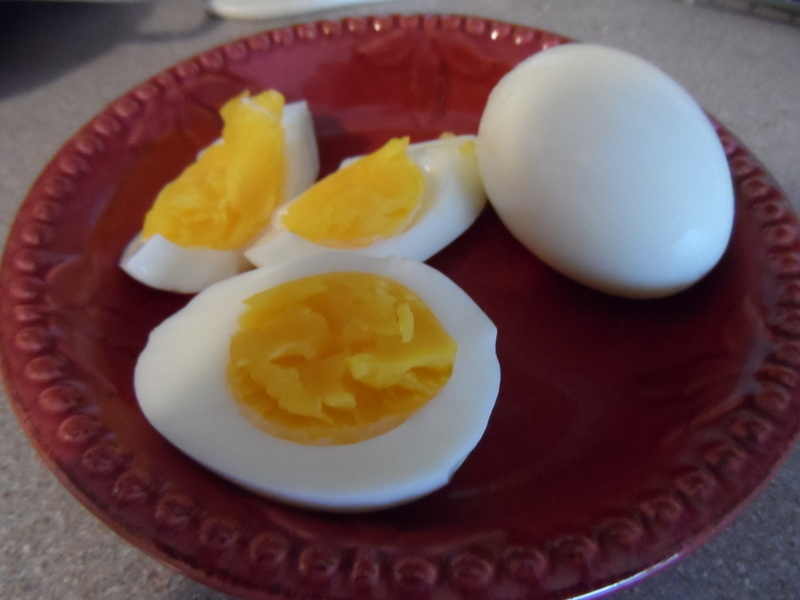 Peeled hard-boiled eggs will keep for about 4 days in a covered container in the fridge. 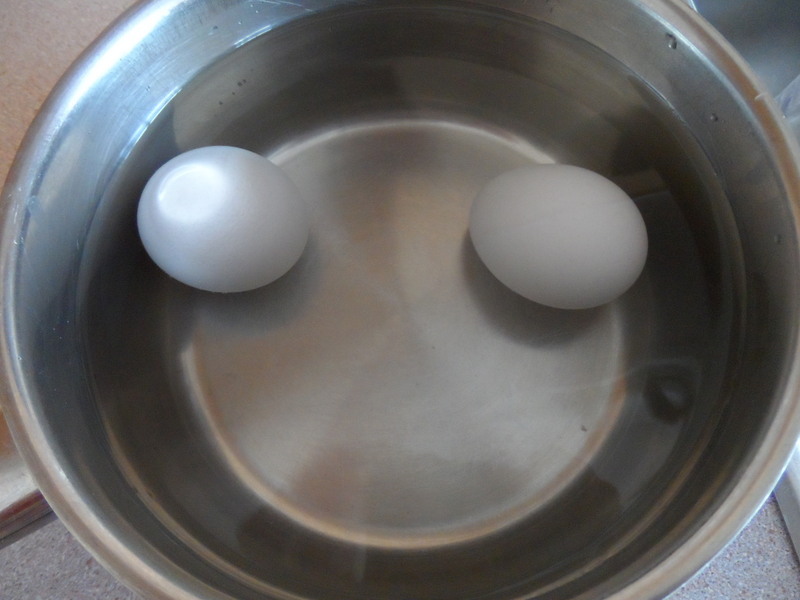 Place desired amount of eggs in a pot and cover with water by one inch. Bring to a boil on the stove top, uncovered. 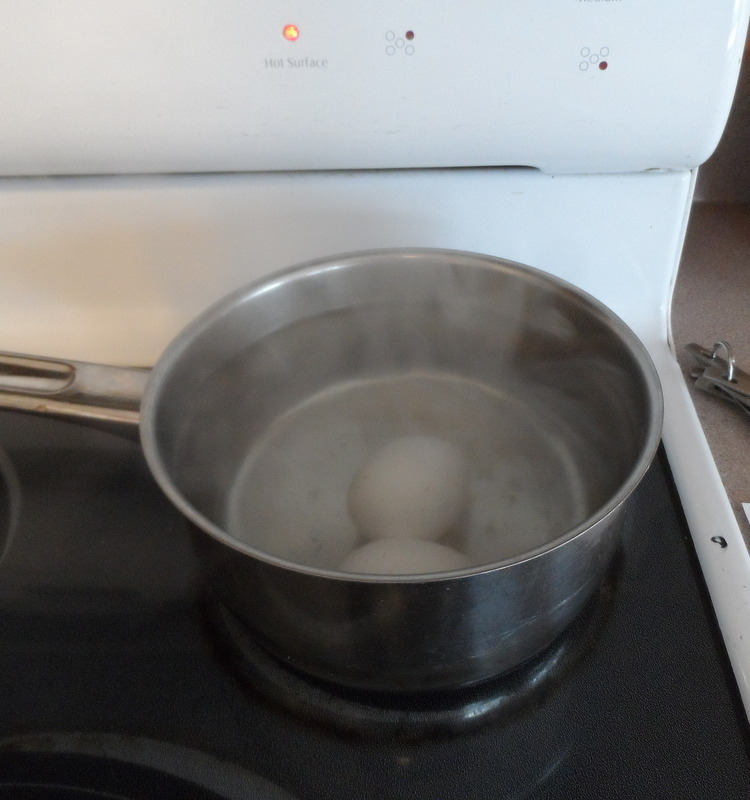 Let the eggs boil for exactly one minute and then clamp the cover onto the pot and immediately remove from heat. Let sit for 10-12 minutes. 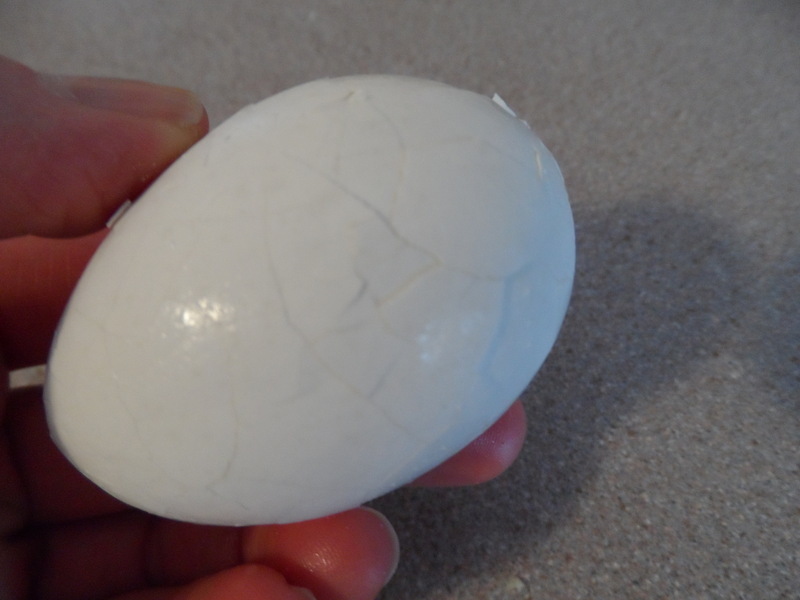 Plunge the eggs into an ice bath and give each a little tap to make a small crack. When cool enough to handle, crack the eggs all over, and then roll, using the palm of your hand. Gently peel the shell off and eat warm or cold sprinkled with salt. This entry was posted in Breakfast, Holidays, Passover, Salads & Sides and tagged Breakfast, Easter Eggs, egg yolks, hard boiled egg, Hard-boiled Eggs, Passover by pomegranatesandhoney. Bookmark the permalink. thank you aura!!! my eggs have never peeled that perfectly before. appreciate the tips!! One of my favorites. I will try this soon and let you know how it worked out. can’t wait to try! 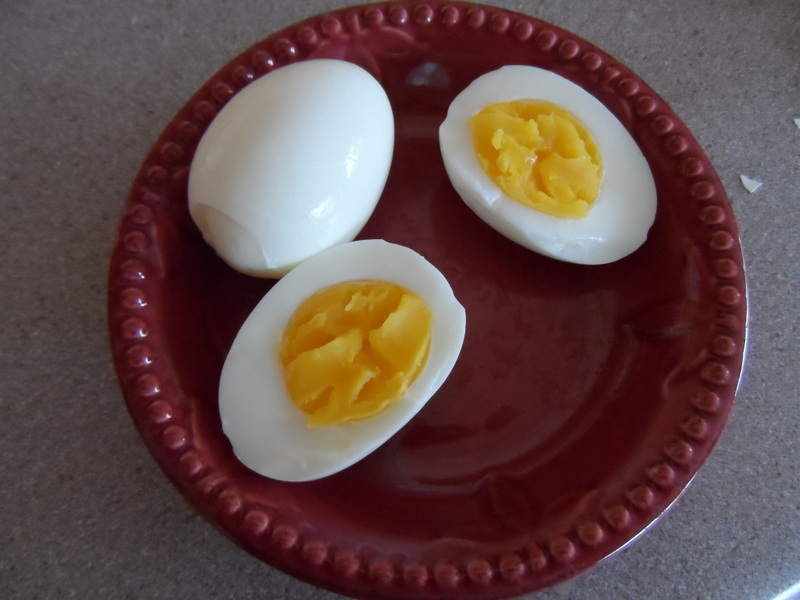 have you ever tried hard boiled eggs in shaped molds…fun for the kids!! Hi Renee, I haven’t. It sound like fun–tell me more!